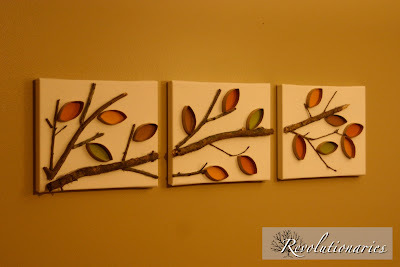 I know that this is call Fall Wall Art but really will look lovely on your wall anythime of year. This is another simple but ever so effective project for you to make. When you click through the link below, scroll down the page to find the strat of the tutorial. Have fun making it.